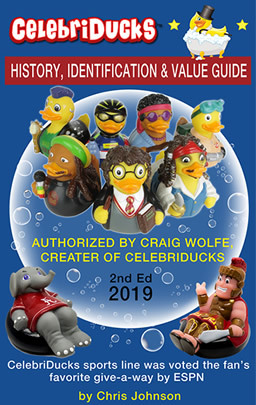 In this second year of documenting the CelebriDuck line, working in conjunction with CelebriDucks’ founder, Craig Wolfe, I offer an updated edition, containing a current listing of the ducks and numbers produced in 2018. We have expanded a few chapters and added details on a few of the new character lines produced this year. 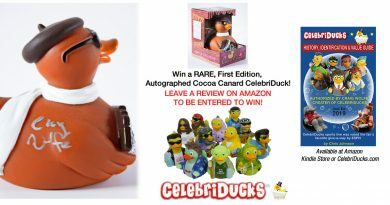 Since last year’s edition, CelebriDucks has added new ducks, lines, and custom works that are gaining popularity worldwide. As you’ll see, CelebriDucks started with an idea that could not be easily explained in words. 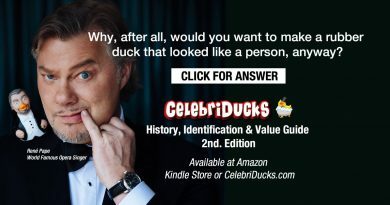 Why, after all, would you want to make a rubber duck that looked like a person, anyway? But Craig had a deep love for iconic characters from movies and television, and he wanted to memorialize those characters in a brand new way. We hope you enjoy learning about the history of the company, what makes a CelebriDuck so special, and keeping up to date on new arrivals such as the 2018 Rubber Tubbers. 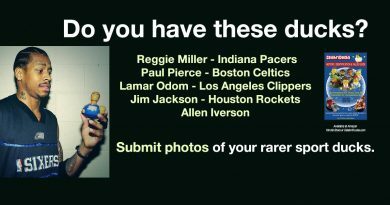 CelebriDucks and Rubber Tubbers are joining forces to create cutting edge sports promotions for the NCAA, NBA, NHL, and Major League Baseball using celebrity rubber ducks and collegiate on field mascots floating on inner tubes. Then there are the Amphicar’s for the popular attraction, The Boathouse at Disney Springs. Amphicar’s are CelebriDucks and The Boat House’s collaboration where you can get the Amphicar rubber duck driving the vintage blue, green, and red cars. 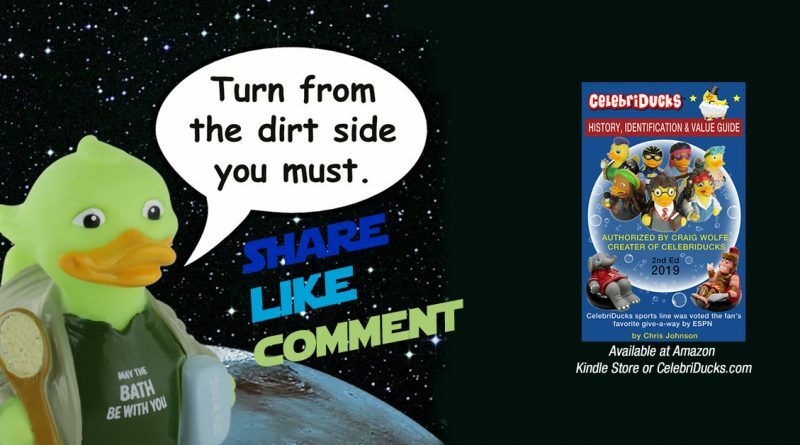 Click here to buy from Amazon, Kindle edition. Click here to purchase a downloadable .PDF version from the Author’s web site to download to your computer. If you need any assistance to get your copy, please contact us.